​The Community Senior Center of Bolton, Richmond and Huntington is governed by the following volunteer board of trustees and supported by many member volunteers who provide experience and time directly and on committees. A Richmond resident for over 30 years, Anne has a deep commitment to the Town, the Community Senior Center, and the membership it serves. She has been a major catalyst for the CSC’s expansion in programs and activities to meet the needs of our changing senior population. She also served as Richmond’s State Representative for seven years, and was on the House Appropriations Committee. A retired clinical worker, Betsy moved from Massachusetts to Richmond in 2008 to be near her son and his family. She and her partner Jane Van Landingham care for seven sheep and two cats on their Two Grammas Farm in Jonesville. Debbie, a native Vermonter and Huntington resident since 1972, holds undergraduate and graduate degrees from UVM. She retired from a 30-year career at UVM that included adult education, development of UVM’s Osher Lifelong Learning Institute, and Gerontology education. In Huntington, she has served on the Brewster Pierce school board, the Senior Housing Committee, the HERO senior support committee and as a library volunteer. Her interests include gardening, cross country skiing, walking, kayaking, and drawing. As chair of the senior center program committee she looks forward to the growth of the Community Senior Center in all the communities we serve, as a gathering place for seniors to enhance their lives through fun activities, learning and good company. 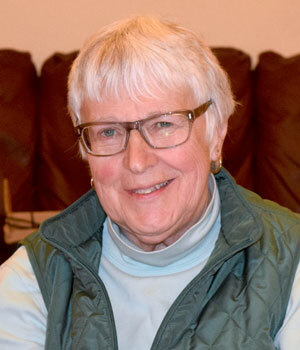 Velma is from Royalton, VT, and came to Burlington in 1963 to attend Champlain College where she earned an Associate Degree and then a Bachelor of Arts degree in Mathematics and Secondary Education from Trinity College. She moved to Richmond in 1975 and has always been an active volunteer in the schools, town, and Congregational Church. She currently is a member of the Richmond Congregational Church, Hale and Hearty, and the Historical Society. Her goal is for the Senior Center to eventually have their own facility. Catherine is a native of Everett, MA and has lived in Richmond since 1967 where her sixth child was born. A retired RN who has worked in both psychiatry and school nursing, she fully embraces the need seniors have for connection, relationships and a sense of belonging. A founding member of the Community Senior Center Board of Directors. Catherine has always been active in her community and now devotes extensive time to the Community Senior Center, the Richmond Historical Society, the Hale and Hearty Club, and Richmond Foot Clinic. Martha, a Richmond resident since 1987, is originally from Lewis County, NY, and is retired from a career in non-profit development. She brings a high level of enthusiasm and energy to establishing and growing the menu of CSC activities, and coordinating them with other members and many outside resources who provide programs. Martha’s current interests include woodturning, genealogy, walking, hiking, expanding her program list and advocating for a community senior center that can further enrich seniors’ lives. A Burlington native and Richmond resident since 1973, Mary earned her Bachelor's degree in Business Education from Trinity College and a Masters in Education from the University of Vermont. She retired from teaching at Champlain Valley Union High School in 2002. Mary is a board member of Our Community Cares Camp, and participates in various church, civic and educational groups and activities and the Hale and Hearty Club. A firm believer in lifelong education, Mary looks forward to the opportunities a senior center facility will provide. Jane has lived in Richmond since 1990 and is retired from a career in teaching. Through her work on the program committee she coordinates activities such as Around the World, a series of travelogues, and spring and winter birding with the Birds of Vermont Museum. She also teaches a class in memoir writing and is the leader of a group that reads plays aloud. Born and raised in Merrimack, New Hampshire, Doris became a Bolton resident in 1988. She is employed at Global Foundries and previously worked for 31 years during the facility’s IBM ownership. A member of Trinity College’s last graduating class, she earned an associate degree in Business Administration. With a dedication to promoting nutrition and service to others, Doris has voluntarily provided monthly meals for seniors in Bolton since 2004. She is committed to seeing the development of a Community Senior Center to serve the communities of Richmond, Huntington and Bolton.